Nurses and midwives braving the cold on the picket lines in Letterkenny on Wednesday. THE Irish Nurses and Midwives Organisation has announced an escalation and additional dates for strike action. Week two of the strike, scheduled for this Tuesday and Thursday, will see the number of services on strike increase from 82 to 240. The Executive Council has also announced extra strike days on February 19 and 21 in addition to the already-announced strikes on February 5, 7, 12, 13 and 14. The INMO will also be organising a national rally on Saturday February 9. Nurses and midwives are seeking to secure safe staffing levels in the health service through increases in pay to make the professions more attractive. 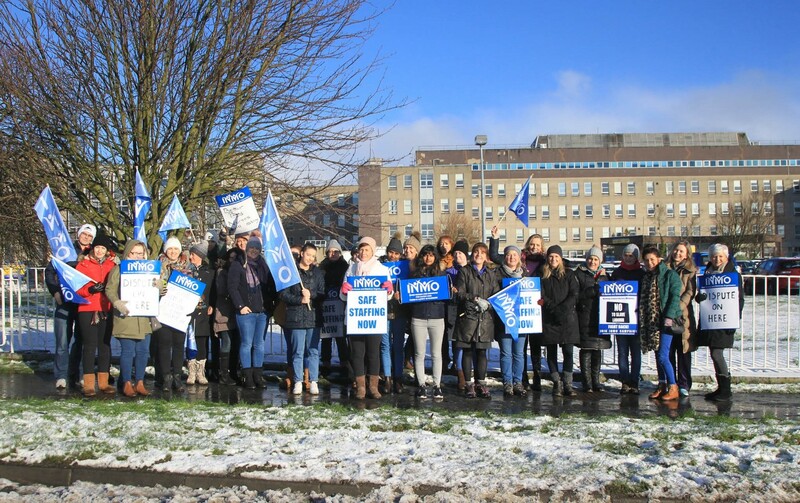 INMO General Secretary Phil Ní Sheaghdha said, “Nurses and midwives proudly stood up in defence of our patients and professions last Wednesday, but the government has responded with threats and intransigence. “Everybody – except the government – recognise that there is a serious understaffing problem in our health services. The public support for the strike on Wednesday showed that the Irish people stand with nurses and midwives. The INMO also thanked local businesses and the public for their kind support of nurses and midwives on the picket lines on Wednesday. Those on pickets received hot drinks from local coffee shops, hot food from local takeaways, sandwiches from pubs and cafés, donuts from prison officers and supplies from firefighters. 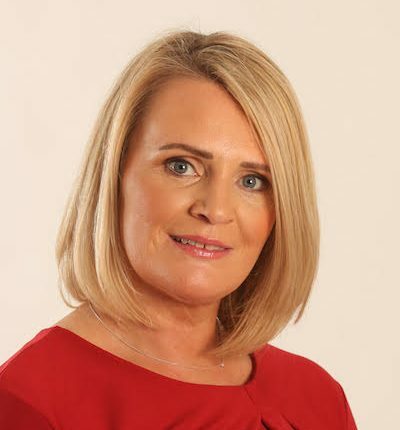 INMO President and Sligo-based nurse Martina Harkin-Kelly added, “We have been heartened and humbled by the support for our nurses and midwives on strike. Going on strike – especially in sub-zero temperatures – is not an easy decision. Knowing that the public overwhelmingly have our backs means the world to us.